Here are a few pictures of our guides catches from last week. 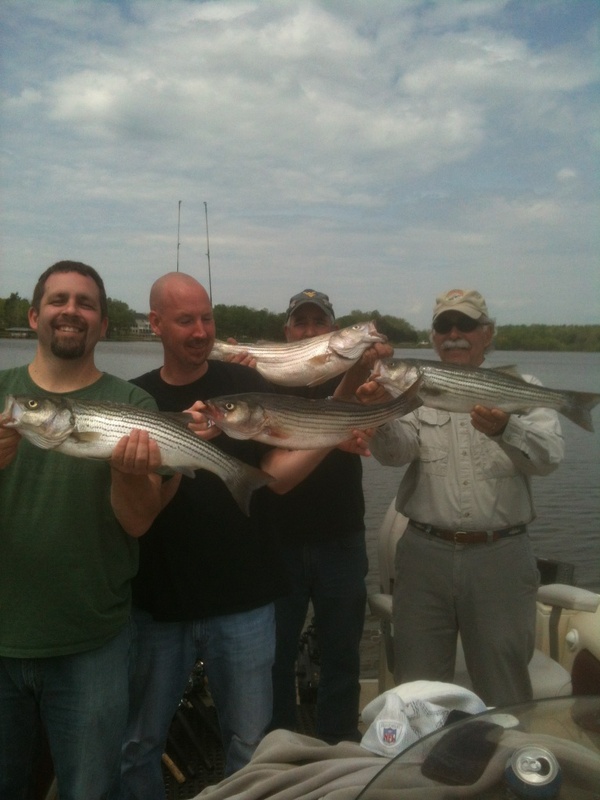 Tony took Marc, Mike, Mark and Tim out fishing and although they did not want to keep any fish he managed to get a picture of them holding some fish up. Tony took Sam and Jimmy out and caught this nice stringer of Stripers. 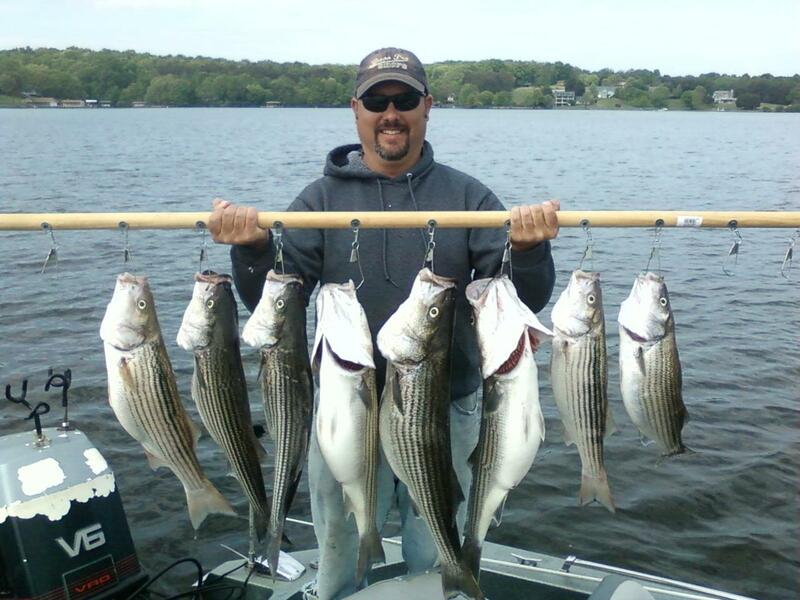 Bob is holding up 4 of the 12 Stripers that guide Brian put them on. Finally DP is holding a stringer of Stripers that his client could not hold up. Our guides learned from the master, they are ready to take you out on the water and prove it. Give us a call and book a trip while we still have some available dates.